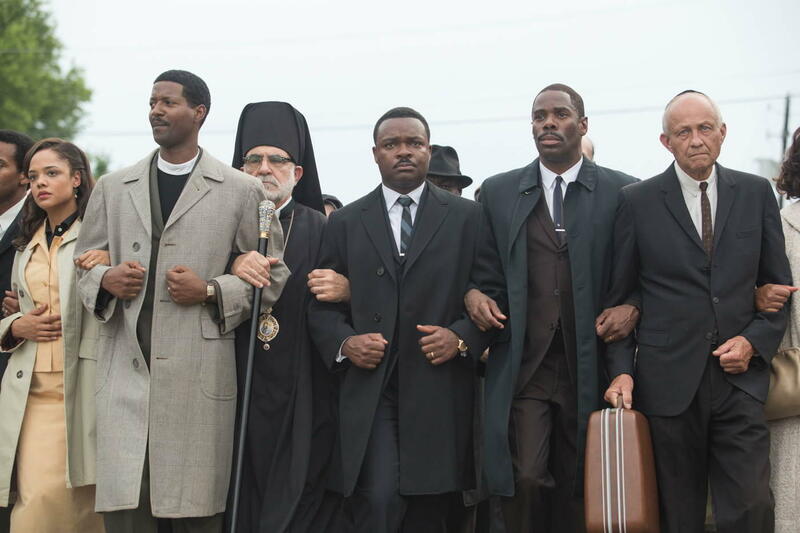 What went through the mind of a Kansas City community organizer as he watched Selma, depicting Martin Luther King Junior's march from Selma to Montgomery in 1965? What did filmmaker Kevin Wilmott, who has juggled the competing demands of historical research and creative vision, think of the storytelling techniques? And what is our local movie critic's takeaway? As protests, riots, community-police tensions and a National Guard presence take hold in St. Louis, on the other side of the state, how is Kansas City doing? Clergy and civil rights leaders have marched to City Hall, and community gatherings have been platforms for candid, cathartic conversations about race. 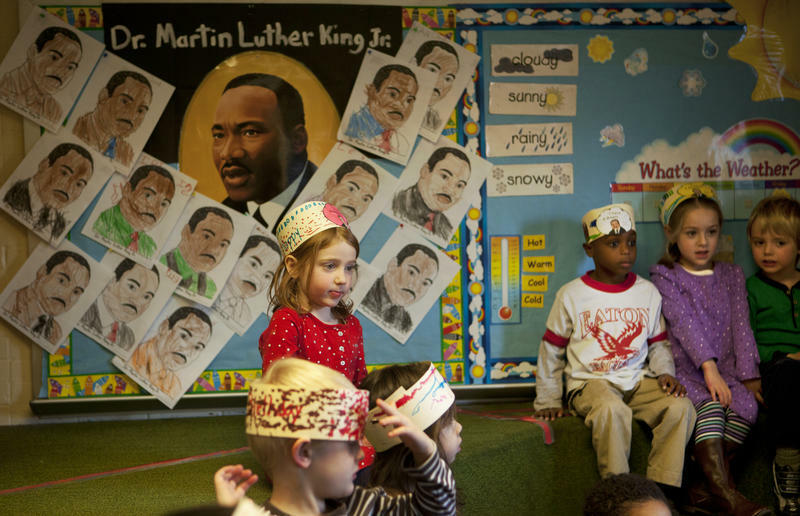 What Does Martin Luther King Jr.'s Legacy Look Like To A 5-Year-Old? It's morning meeting time. "When Dr. King was little, he learned a golden rule," sings a class of 4- and 5-year-olds with their teacher, Carolyn Barnhardt. John Eaton Elementary School, a public school in Washington, D.C., is unusual. It sits in one of the District's wealthiest neighborhoods, but the majority of students hail from different parts of the city, making it one of the most racially and economically diverse elementary schools in the nation's capital.